While doing interior most of the people mainly focus on the living room, bathroom, and kitchen due to interior design cost associated. The bedroom is also an unavoidable part of one’s house. Master bedroom doesn’t require an extensive amount of design as compared to kitchen and bathroom. In the bedroom, you spend your best time with your close person. Priorities: The most important priority of interior designing is interior designer cost, if you have to change any design then you have to communicate clearly with your designer. The designer should be cost effective as well as fulfill all your necessary requirements. Behavior: You have to talk with your designer how you want your bedroom. 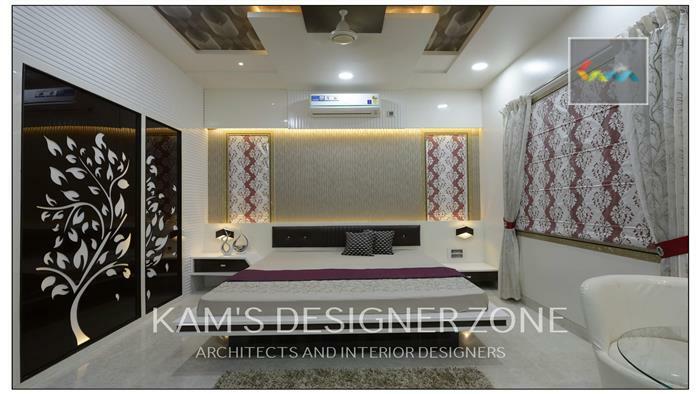 If you want separate dressing room in your bed room then you have to discuss it with your designer, because designer adjusts dressing room in your available space. In bed room, there is chair or window arrangement for getting more relaxed & you can spend your quality time with your friends & family. Attractive furniture and fixtures: After fixing your bed size you can work rest of furniture in the room. In your bedroom, you can put new or existing furniture like tables, lights, makeup table, an occasional chair, hanging lights, mirror, art, and rugs etc. Latest trends: You can put a collection of your photos, paints. Firstly, you have considered your house style. Good design takes more time but you get an amazing outcome. Related links: Bedroom interior designer in pune, Interior designer in akurdi, interior designer in Hadapsar, Interior designer in Kothrud.